Fatia is a teacher, writer and reader. She loves to write about history. Africa is beautified with many of nature’s endowments. Its landscape has an aesthetic appeal that provides a soothing relaxation and comfort to the body and mind. One of such wonderful gifts the continent is blessed with is its beautiful waterfalls. 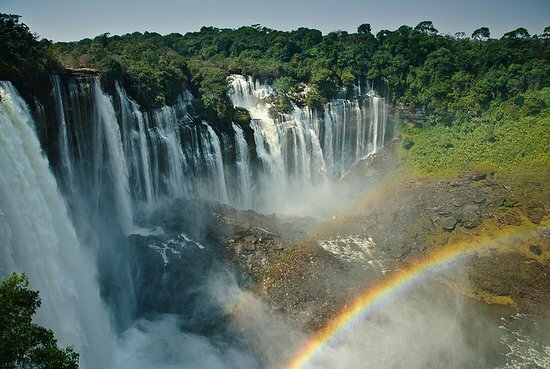 The continent houses some of the world’s tallest and largest waterfalls whose sight would leave a person awestruck. If you are travelling to Africa, here is a list of some breathtaking waterfalls you need to see. Named after Queen Victoria of England, Victoria Falls is considered the largest waterfall in the world with a length that is above a kilometre and height that is above 100 meters. 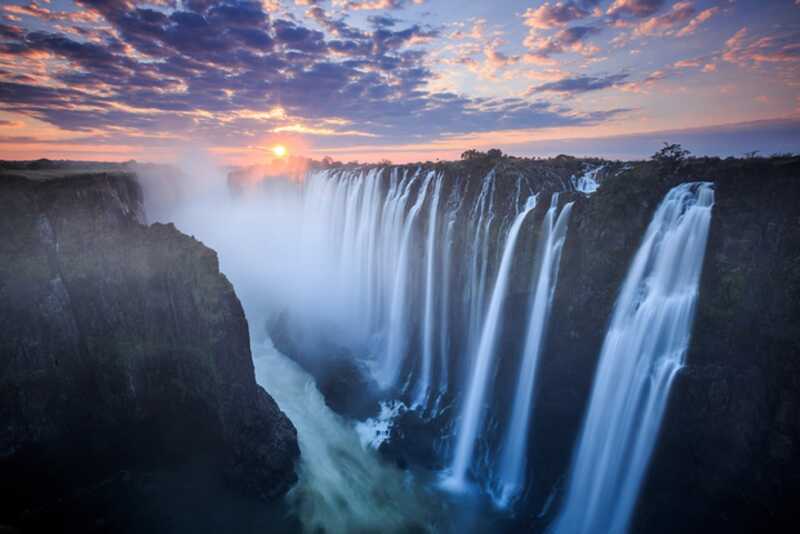 The waterfall is located on the Zambezi river, which is borders Zambia and Zimbabwe. The noise of the waterfall can be heard 40kms away from its site. Its spray and mist from the water rises from a height of over 400 meters and can be seen from a distance of 50kms. It is for this reason the local people nicknamed it ‘Moi-O-Tunya’ which means ‘the smoke that thunders’. The water level is mostly at its peak in April while October is its lowest. Tugela, derived from Zulu ‘Thukela’ which means ‘sudden’ or ‘startling’ is the second tallest waterfall in the world with a startling drop length of 411m (3,142ft) and height 948m (3110ft). It is located in the Kwazulu Natal province in the southeastern part of South Africa. Surrounded by the Dragon mountains in Drakensberg (the main mountain range of South Africa), Tugela waterfall is a pretty sight that is easily visible from the main road after heavy rainfall. Situated in the Northern Province 33km from Mbala on the Kalambo River, Kalambo waterfalls records a steady leap of 221 metres into the gorge below it and then into Lake Tanganyika. The waterfall defines the border between Tanzania and Zambia. It is charmer during the May/June rainy season. It is the second highest waterfall after Tugela in South Africa. 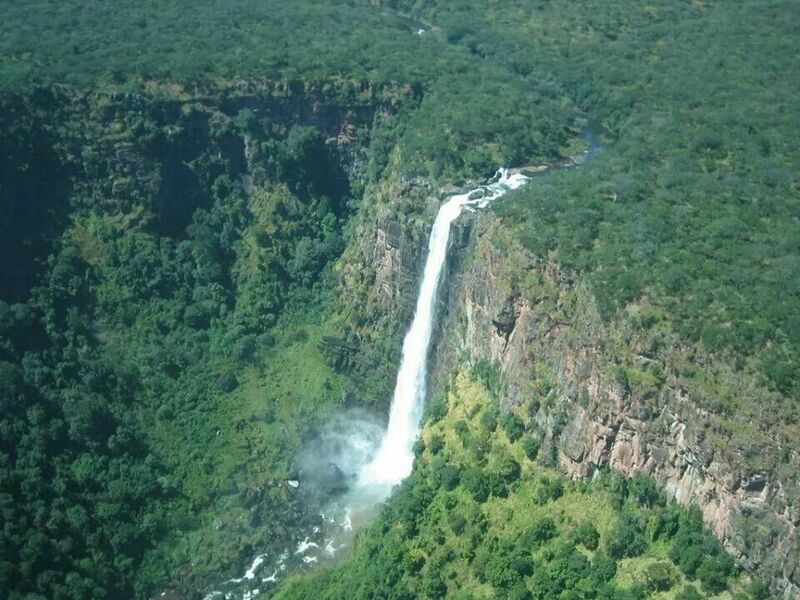 Falling from a height that makes it one of the tallest waterfalls in Africa, Ouzoud Falls stands at 330ft (110m) high. 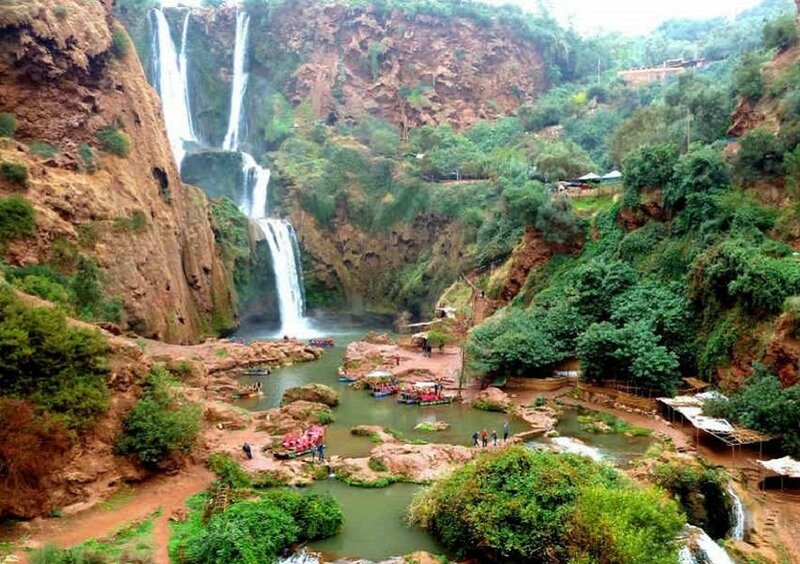 Located in the Azilal region of Morroco, northeast of the busy city of Marrakech, Ouzoud waterfall is a serene location that provides a soothing experience for tourists. Apart from the chilly feel of the water, the place houses some monkeys with whom you can have fun. Situated along the Lucala river in the northwestern part of Angola, the horseshoe-shaped Kalandula Falls stands at 344ft with roughly 1300ft in width although it may get close to 2000 during a flood. This spectacular waterfall has had a lot of names. 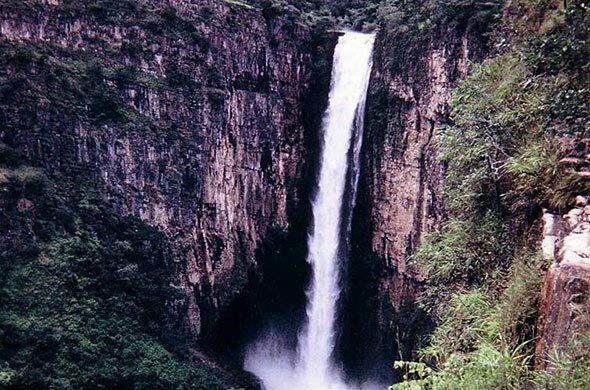 From Duque du Braganca Falls during the Angolan civil war between 1975 and 2002 to Diazundu Falls which was not quite popular and finally to Kalandula waterfall. Albeit the waterfall has seen many changes in its name, its beauty remains. Kalandula divides into smaller trickles and boulders at the rim of the falls. This makes it unique from other large waterfalls. It is at its peak during the rainy period between February and April. Its appearance in this period is beauty to behold. Also known as Chutes Kaloba or Chutes Lofoi, the Lofoi waterfall with a height of 544ft is one of the largest waterfalls in Central Africa. It is sited at the Kundelungu National Park in the Katanga Province of the Democratic Republic of Congo. Apart from the period between June and October, this belle is one of the nature’s endowment you would want to have bless your eyes.